Following the success of the Duncan Edwards Tribute Dinner at the Copthorne Hotel Merry Hill-Dudley in October 2018 it has been decided to make the dinner an annual event. Representatives of Manchester United FC were among the guests at the Duncan Edwards Tribute Dinner at the Copthorne Merry Hill-Dudley in 2018. Stuart Fleming, general manager of the Copthorne Hotel, said: “We are delighted to be hosting this year’s tribute dinner and in recognition of this we will be opening a new Duncan Edwards Tribute Room at the hotel on Wednesday, February 6, 2019. 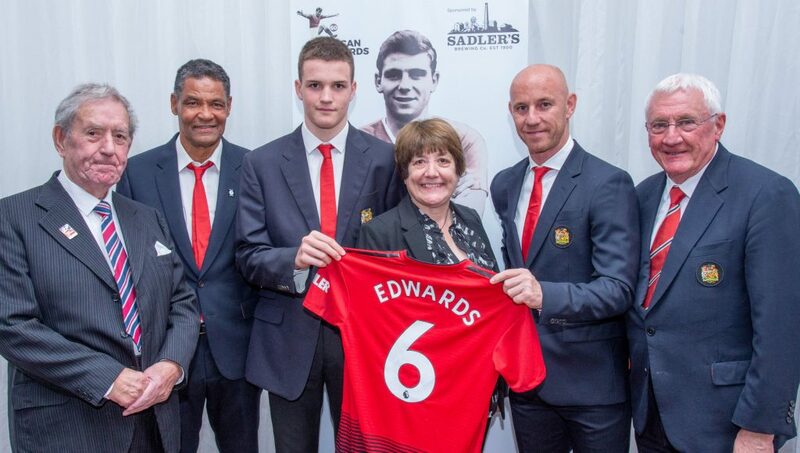 Representatives of the local business community, members of Duncan’s family and a Duncan Edwards Reunion Team – including former players and teammates going right back to his schooldays in Dudley – will also be present. For more details about forthcoming activities visit the Duncan Edwards Tribute website or contact Jim Cadman on 07971 624627.